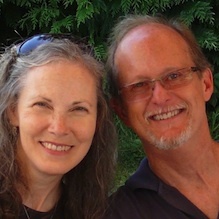 Paul and Karan Davis serve with The Evangelical Alliance Mission (TEAM) starting churches in France where there is no Gospel witness. Since January 2011, they are working on their 6th church-starting project in the city of Pontcharra, strategically located between the cities of Albertville and Grenoble in the French Alps. Their ministry involves preaching, teaching, discipleship, evangelism and leadership training. Both Paul and Karan were brought up in Christian homes. Karan sensed God’s call to Missions shortly after her conversion as a teenager. During a trip to France, Paul realized that millions of French people have no opportunity to hear the Gospel. He felt called to return to France as a church planter. They met at Columbia Bible College. After graduation and marriage (June 1976), they joined TEAM. They left for France in August 1978. During their first term, Paul completed a master’s degree program from Grace Theological Seminary. They spent 16 years in France, starting with language school, completing an internship program under an experienced French pastor, and then leading in planting one church and helping complete another. All five children were born during those years, and were educated in the French public school system. In 1994, Karan was stricken with bone cancer. The family returned to the United States for Karan’s treatment. During that time, Paul served as southeastern representative for TEAM. In the summer of 1998, with Karan totally healed from the cancer, the Davis family returned to France, happily picking up their lives and work that they had to leave in 1994. As of June 2012, all five of their children are married, and they have seven grandchildren. We are starting a new church in the city of Pontcharra, located in the French Alps, a city with no other Gospel witness. The people of Pontcharra are mainly from middle class families who have lived for many generations in this part of France. They are typically non-practicing Catholics with little to no relationship to the church or any religion. We need a meeting place strategically located in the center of the city. We hare making many good contacts — pray that we will have opportunities to share the Gospel.